Credit card orders may be placed directly on this completely secure site. Information provided on this site will not be provided to any third parties. Your information is only used in the processing of your order. This site is owned and hosted by a fellow USNA Grad. MAKE SURE YOU SELECT DESIRED SIZE, QUANTITY AND COLOR WHERE APPLICABLE BEFORE CLICKING ADD TO CART. 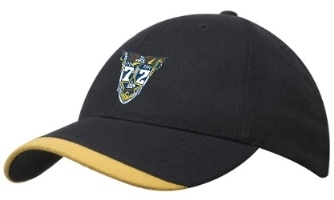 This ball hat is navy blue with a gold contour visor. It has a structured, low profile front. The back closure is a velcro strap. 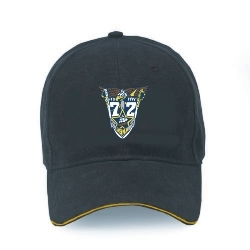 It has the Class Crest embroidered on the front and "Tried & True with 72" on the back. 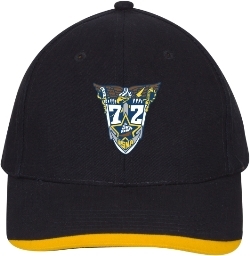 This ball hat is navy blue with a gold sandwich visor. It has a structured, low profile front. The back closure is a fabric strap with a buckle.